Yesterday, even as news of Path’s unfortunate error in uploading users’ contact information wholesale surfaced, there was another hot product being brought under fire. This time it was the hot product collection community Pinterest and its relatively stealthy practice of replacing regular links to products with ‘affiliate links’. Writer Josh Davis uncovered the practice and ran down the proof of it occurring in a thorough post here. Basically, Pinterest scans the links that lead to products that users submit to its ‘pinning’ service and insert affiliate links wherever possible, allowing them to earn a small amount any time someone follows that link and makes a purchase. An affiliate link, if you’re not already aware, is a string of characters that routes your click through an advertising server, giving the hosting site a bit of a commission on any purchase. It’s done in cooperation with the site that sells the product and it’s very common. Nearly every iTunes link you follow from a blog to purchase an app from Apple, for instance, has one attached. It was later revealed, by Mike Butcher at Techcrunch, that the service Pinterest was using was one called Skimlinks. Skimlinks allows sites to monetize links throughout their site automatically by inserting these affiliate partner codes. Then Skimlinks went on the record to state that its relationship with Pinterest ‘isn’t a secret‘. As Kelley points out, this is an extremely common practice for many sites, including just about any that allow you to create ‘wishlists’ of products. It’s how they monetize their business and there’s really no harm done to any user via the practice. Pinterest could absolutely have made more of an effort to make clear that it was using affiliate linking to generate revenue, and perhaps the terms aren’t clear enough for some, but they are there. In the end, it has taken what may be one of the most ‘victim free’ routes to monetizing its site early. It also turns out that Pinterest even makes it a policy not to overwrite users’ personal affiliate links if they have them and pin, say, a product from Amazon that earns them a cut should anyone click and make a purchase. Joel Garcia over at GTO Management performed a simple experiment in order to explore this. Garcia found that if a link was pinned from another site, Pinterest did indeed modify it to its own affiliate link, as it was caught by the automatic Skimlinks system. But if a user pinned an item directly on Pinterest and replaced the link with their own affiliate URL, it stayed. Sure, it’s not the most convenient thing for affiliate marketers, but making that kind of monetization easy for those independents isn’t Pinterest’s problem. 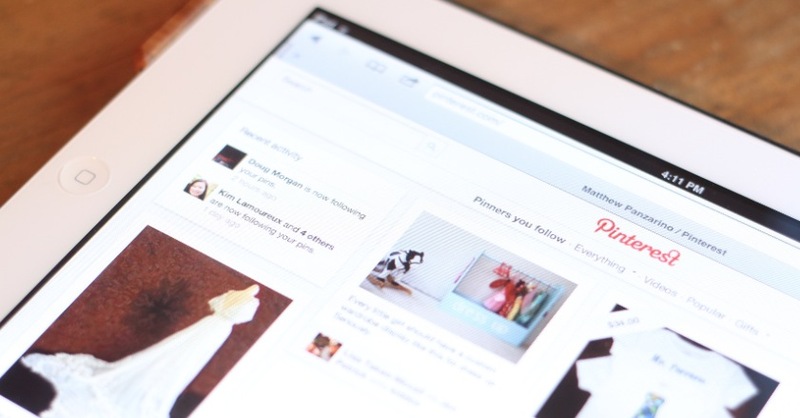 The way we see it, this is just further evidence that Pinterest isn’t out to hurt its users. When I briefly spoke to Alicia Navarro, CEO of Skimlinks, she said that the ‘out of the box’ functionality of Skimlinks does not overwrite existing affiliate links. This appears to jibe with the way that Pinterest currently operates. Not only that, but there is something to be said for a startup like Pinterest making an effort to simply make money early on. We see a lot of startups these days and it’s really tough to see so many building a business on the hope of ‘pivoting’ it at some point in the future in order to gin up a way to make money. Yes, users are good, but money keeps the doors open and all too often an early funding round gives startups a false sense of security. Will Pinterest have success making money this way? I’m not sure. But It’s definitely not a bad start and, aside from not making the way that they’re doing it a bit clearer, Pinterest hasn’t done anything wrong and may actually be doing something very right.